After becoming a household name due to her astronomical success with her second album, 21, I bet there is no music lover who doesn't know who Adele is. Who would ever miss her almost landslide win and hair-raising performances on the 2012 Grammy Awards. In fact, just last March she has reached the 23rd week mark that her album 21 maintained the No. 1 spot in the Billboard Hot 200 charts, making it the longest-running No. 1 album since Prince's Purple Rain album released in 1984. Wait! Is it just me or is it a coincidence that her second album did it only for 23 weeks? Or is this a premonition that we are about to discover that her third album will be called 23? This is so convenient knowing her first and second album were released only two years apart. To those who didn't know, her previous albums were titled based on the age she had by the time the albums were released and we could expect the same pattern for the third one. Only a few things about her upcoming album is sure, though: she is busy working for her next album and that she would write her own materials for her songs: to record, produce and master it herself. 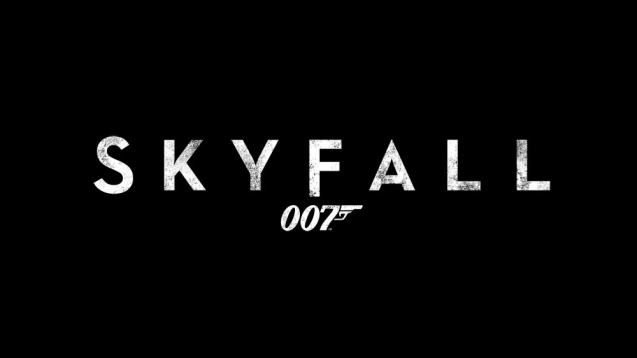 We also got hold of a confirmed news that she will release a single from this album with a possibility of being considered as a soundtrack for the upcoming James Bond movie, Skyfall. Although, personally, I was a little worried when she said last year that she considered "taking four or five years" of leave from producing her next album. Just recently, Adele suffered an ailment on her throat that required her to undergo a surgery and had to cancel all her remaining concert for 2011. Luckily, she was able to recuperate very well after the successful operation, allowing her to perform at the 2012 Grammy's and go back to her recording. Reports were circulating online that this album will include a cover of Never Tear Us Apart, which she confessed is "probably my fave song of all time," that was originally performed by Inxs. She went on saying that she has already "five tracks to go." This is with a promise that she won't delve into the break-up arena anymore and that she is "done being a bitter witch," which is very apparent on her second album. This time around she will incorporate a positive feel on her songs and she added that "one of [the songs] is quite upbeat – a real ‘girl power’ type of song. The whole album will have quite a live feel to it." Only on thing I can't seem to be convinced with is the artitle that The Guardian had about this album (after all the drivel that they have served us lately). In the article it claimed that Adele's third album will be influenced by American brand of music, such as acoustic, piano-led or even country music that she discovered during her US tours for her album 19. They even quoted her to say she wants "to spend some time in Austin, Texas and Nashville, Tennessee, and learn about it." They even dragged the Sun by quoting her to say, "I feel like a four-year-old in a candy shop who's discovering sweets again. The melodies and to-the-point lyrics I have found in a lot of American styles of music is definitely something I'm going be pursuing heavily from now on... Every day is amazing when it comes to discovering new artists."